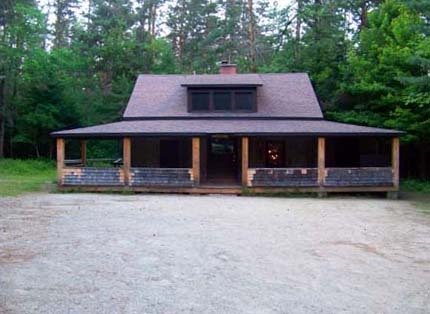 There is one cabin rental available on the Kancamagus Highway called Radeke Cabin, Radeke Cabin is owned by the US Forestry Service. It was purchased from the University of New Hampshire in 1969. Radeke Cabin is located just 150 feet from the Kancamagus highway and 14 miles West of the Saco Ranger Station. Radeke Cabin has 3 bedrooms with wooden bunk beds that can sleep up to 10 people. Radeke Cabin comes with a woodstove and firewood. Cabin rental rates are $40/day plus $9 reservation fee. Reservations for Radeke Cabin can be made by calling 1-877-444-6777. -You must collect your own wood for the outdoor fire pit (local wood only).